Well, this is just cool. I don’t know if a 40 year old sales guy gets a vote on what is cool or not, but I’m calling this cool. 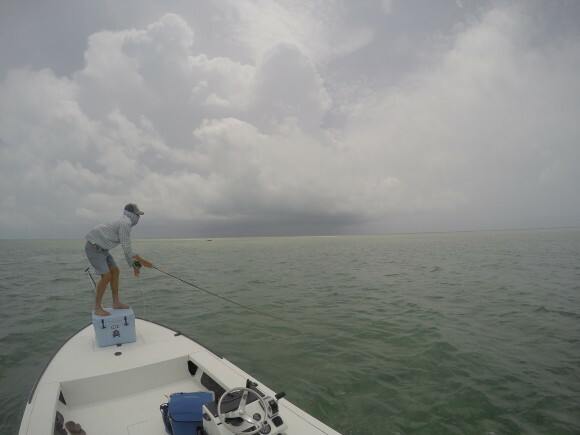 It is a short video featuring some Glades fishing and it is why I’d head back to Florida… for that. I approve… not that anyone is keeping score. I’d watch this. Check out the trailer. Turns out it is just a hard thing to time right. We were there a week that should have been good and it wasn’t. We had some decent weather and some horrible weather, but there have been plenty of weeks with worse weather and better fishing. The fishing was even. Everyone had crappy fishing. No one was killing it, we were all getting our asses kicked. When you are looking for migratory fish and you are booking a trip 6 months in advance, it is easy to get it wrong. I’m told I’m building karma. I’m putting in the time that will appease the fishing gods and reward me, in time, with one of those big migratory ladies. That’s what I’m hoping. That’s how it works, right? I stayed at the Sea Ranch Motel in Marathon. It is a place that caters to the angler, most everyone staying there was there to fish. We ate all over the place, since half the crew was staying up in Tavernier. We met frequently in Islamorada and I made sure to get to Robbies to feed the tarpon. The day with Derek got weathered out, but the back-up with Martin in the Everglades was a good substitution. I got to do a little night fishing at one of the cuts, once with Matt and Eric in Ty’s boat. Twice I went out on my own. The first night with Matt and Eric we could see big explosions and hear even more as the fish were feeding. We braved one electrical storm and stayed for hours, but couldn’t convince a single fish to eat. The first night on my own a guy standing on the bridge was looking down at my fly saying that he could see fish moving to the fly, but they wouldn’t eat. The last night I snagged on a bridge piling. Now, I was fishing straight 80# and I was wondering exactly what was going to break… the 80# or the RIO #12 Tarpon line. I had used the factory loop on the line, connected to the #80 with a perfection loop. The perfection loop is where it broke. So, those factory loops are pretty damn strong. 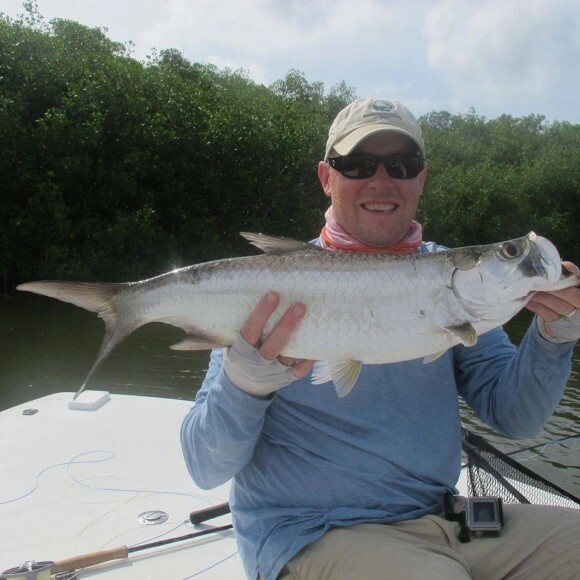 I learned more, both about the Keys, about Tarpon and about myself. It is easy to have fun when things go well and everyone is in fish, but we managed to still have a pretty decent time with crappy fishing. So, good on us. That said, it would have been really nice for someone to get into some fish, some of the fish we were actually there to fish. Will I be back next year? Not sure. It was two years since the last trip and that might be more like the re-occurrence rate for this trip. I have to see how things go, how the family goes, what happens in the lives of the other guys. We shall see. Not fishing, not catching, most like running from the storm! There are these sayings one hears (I’ve heard them come out of my own mouth even) that can really drive you mad. 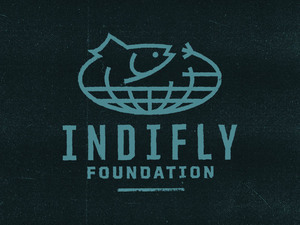 Maybe it is a tolerance thing and you hit it at a certain point, say, day 3 without a tarpon really even looking at your fly. Maybe it is 4 days. Regardless, there is a point when you you can see it coming, you know someone is going to say one of these things and you want to run up the tracks and flag down the locomotive before it hits the washed out bridge (you, fishless, or rather me, fishless on day 3-4 is the washed out bridge in this case). “That’s why the call it fishing, not catching.” True… but I’m out there to catch things, not just share their water. I know I’m supposed to enjoy “just being here” and all that, and I do, but I am there because I want to connect with the sliver king, because I want to do some catching. These are thoughts you have when you mostly don’t catch anything. 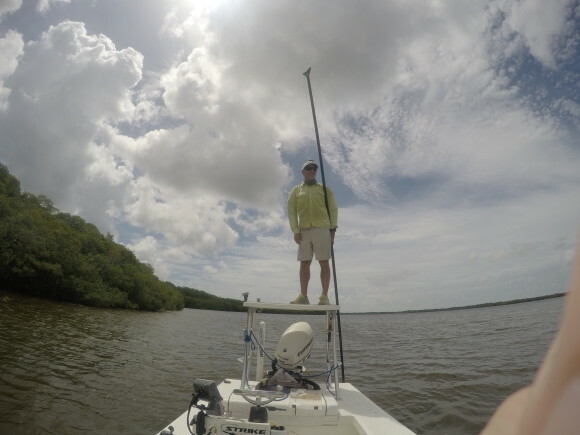 I had lots of time to think about these things since my hours on the bows of various skiffs was mostly not taken up with casting to or fighting fish. Sure, I can laugh at it all too, so don’t take anything above too seriously. At the end of the day, I don’t. But a good rant is cathartic. Two years ago I went to fish Florida for the first time. I had a block about fishing Florida for a long time. Florida, I was told, was hard. Like really hard. It wasn’t a place to go if you wanted to catch fish if you couldn’t make a 300 foot cast in a hurricane. Oh, and the guides would yell at you, maybe tell you were were a bit overweight and that no one really liked you.. I wasn’t ready for Florida. But in 2013 I went anyway. 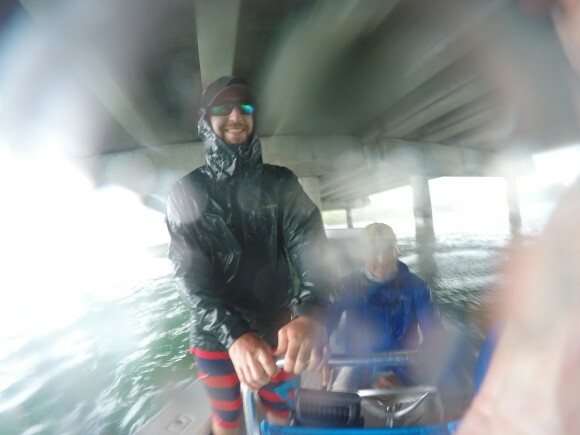 It was tough and wet and I didn’t catch that many fish, but I also realized just how much of the center of the sport Florida really is. 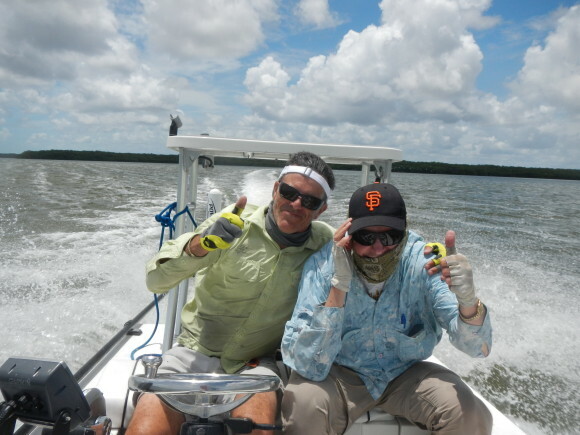 If you fly fish for bones or tarpon or permit, you need to come here, to experience it, to test your metal. I went back last year and I’m going back again this year. I’m going back and most of the crew from 2013 is heading back too. Davin and Matt are going to be there, Eric is coming too, I have a day fishing with Derek and there will even be some new additions. It feels good to have a trip on the books, but even better when it is a reunion of friends, far flung, geographically dispersed and coming back together. I’m excited about the Keys, about seeing old friends, making new memories. 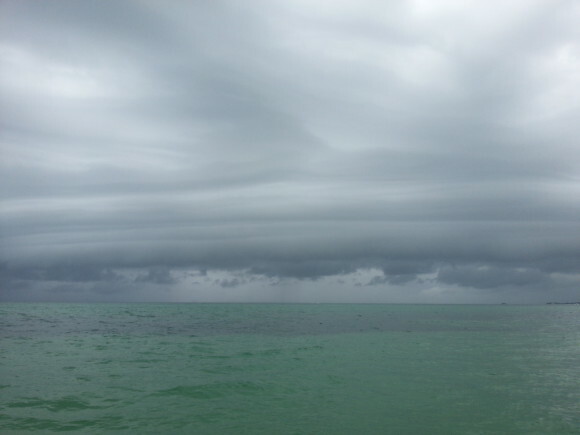 Who knows… maybe it will rain every day again and we will get in 2 hour of fishing, but even if that happens, I know I’ll still have a pretty good time. 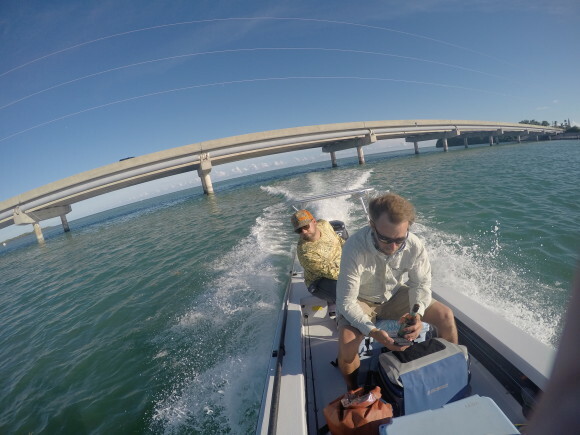 MidCurrent has a great piece up on helping you have a good Keys tarpon trip. You should read it. One point the article makes is that the weather is often pretty bad in those most tarpony of times, May and June. On my one previous June tarpon expedition I experienced this firsthand. It rained, hard. There were brief respites, but mostly, it was wet. I wrote a piece up for that trip. It didn’t get published, as these things usually don’t. One of the criticisms was my insistence that the Sunshine State wasn’t too sunny. I had a line like “It was wet, even for Florida…” that struck a reviewer as nonsensical. Even if it smacks of cognitive dissonance, the Sunshine State IS wet and June is particularly so. I got that line wrong though… it wasn’t “wet, even for Florida,” it was as wet AS Florida in June. 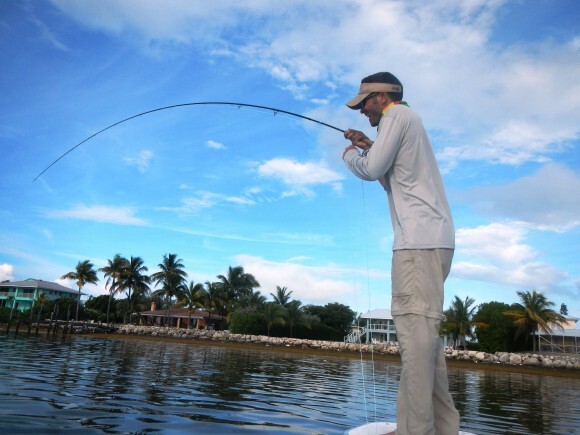 It is the fool who heads for Tarpon in the Keys during the peak migration with nothing but flipflops and sunscreen. Bring a light rain jacket, and your patience and your optimism. The latter two items are sometimes difficult to fit in the same bag. I’m heading back to Florida this June. I expect to be rained on, hard, because it is the Keys in June. I hope also to get shots at some fish bigger than my 4’8″ 8 year old. Taking a page out of that MidCurrent article… anyone have suggestions for cheap digs in Marathon around June?